Through a smile, a pout, or perhaps a kiss, lips are the bearer of our emotions. Healthy lips can make you look young, sophisticated, sensual, or exotic. Likewise, thin, pale, colorless lips look lifeless…and well…old. As we move away from the suppleness of our youth, our desire to juice up those lifeless lips becomes part of the daily grind. In today’s image driven society fuller, plumper lips are more than desirable. They’re becoming a trademark, a fashion statement in its purest form. So we try to give our lips some life. Women across the world spend multiple hours and multiple dollars on lipsticks and liners, plumpers and glosses, trying to get that perfect shape and perfect color. a talent we may or may not be blessed with. If you’re lucky enough to achieve some symmetry, and you somehow avoid the smudging and smearing before you leave the house, you still have to reapply throughout the day to avoid looking washed out. Even with all of the available plumping products on the market, many of us feel our lips are too small or too thin, or perhaps unsymmetrical. The hazard of an unsteady hand only complicates the daily grind. Wouldn’t it be nice to not have to think about it? To be able to eat, even kiss, and still retain that youthful glow? Permanent lip liner and full wash of lip color is the solution to rejuvenating your smile. Permanent cosmetics are the solution for a natural restoration of youthful color, and a fool proof way to correct and enhance shape. Those perfectly defined, fuller lips you’ve always wanted are finally achievable. You will enjoy the results for years to come!! You can wake up with make up, and use that precious primp time for something else. No smears! No Smudge! No worries! For more information on all permanent cosmetic procedures, pictures of Carmella’s artistry and more, please visit our website at www.permanentu.com. Feel free to call, we will be happy to answer any questions or concerns you may have. If you are interested, we will gladly assist you setting an appointment for a COMPLIMENTARY consultation with Carmella, where shape defining and color quest are just the beginning. No commitments, just exciting possibilities. Choosing your artist is the most important decision one can make on this quest for beauty. We are here to help you make an informed decision. 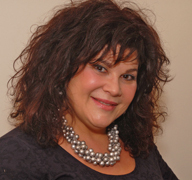 Carmella has performed thousands of procedures since 1999, making her reputation and experience unmatched in the area. Come and see her portfolio for yourself. Beautiful, youthful, lovely lips can be yours permanently. Wake up with make up! Next Story → GreatStuff HOME A Furniture Resale Shop Like No Other!